6 bestselling books with poster inside! If you give a cat a cupcake, he'll ask for some sprinkles to go with it. When you give him the sprinkles, he might spill some on the floor. Cleaning up will make him hot, so you'll give him a bathing suit . . . and that's just the beginning! The lovable cat who first appeared in If You Give a Pig a Party now has his very own book! 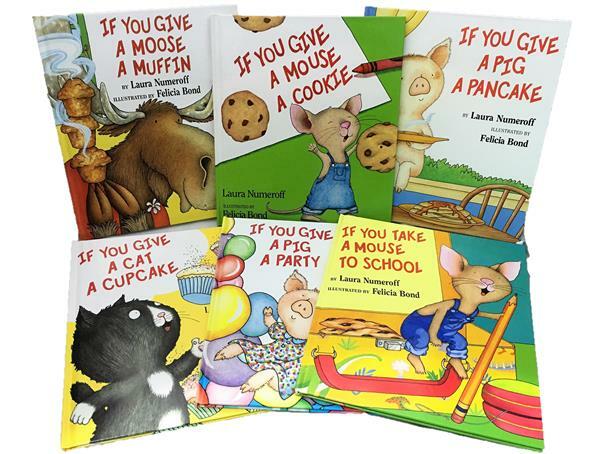 Written in the tradition of the bestselling If You Give a Mouse a Cookie, Laura Numeroff and Felicia Bond's newest story will show everyone that Cat is where it's at! 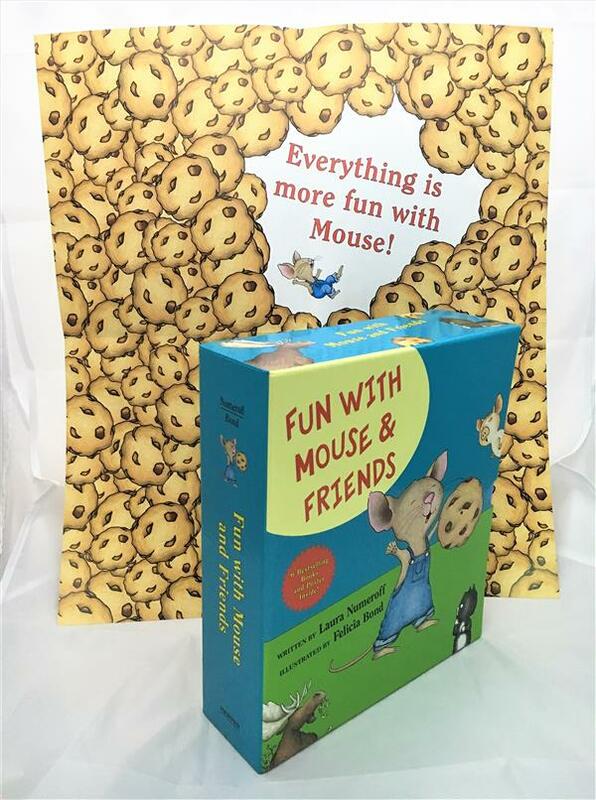 In this hilarious sequel to If You Give a Mouse a Cookie, the young host is again run ragged by a surprise guest. Young readers will delight in the comic complications that follow when a little boy entertains a gregarious moose. If you give a pig a party,she's going to ask for someballoons. When you give her the balloons, she'll want to decorate the house. When she's finished, she'll put on her favorite dress. Then she'll call all her friends -- Mouse, Moose, and more. The little pig from If You Give a Pig a Pancake is back, and this time she wants to throw a great big party! Laura Numeroff and Felicia Bond have created another winning story for this beloved character in the tradition of the best-selling If You Give a Mouse a Cookie. If you take a mouse to school, he'll ask you for your lunch box. When you give him your lunch box, he'll want a sandwich to go in it. Then he'll need a notebook and some pencils. He'll probably want to share your backpack, too . . . The famous mouse from the New York Times #1 best-seller If You Take a Mouse to the Movies and If You give a Mouse a Cookie is back for his first day of school. Only Laura Numeroff and Felicia Bond could make school this much fun!